CPR are auctioning this framed genuine used five pound note commemorates the 134th British Open (Jacks final appearance at St Andrews), only a limited number of these five pound notes were issued featuring Jack Nicklaus on them. The note is legal tender in the United Kingdom. Nicklaus is only the 3rd person to ever be honored this way. The front of the note has been embossed with the Golden Bear Nicklaus logo. 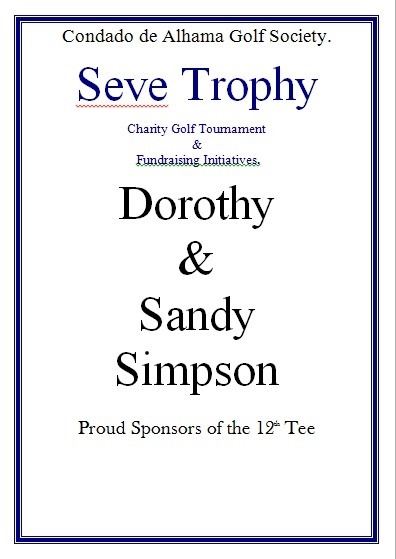 The reverse supports pictures of the Golden Bear holding the British Open trophy and swinging a club. 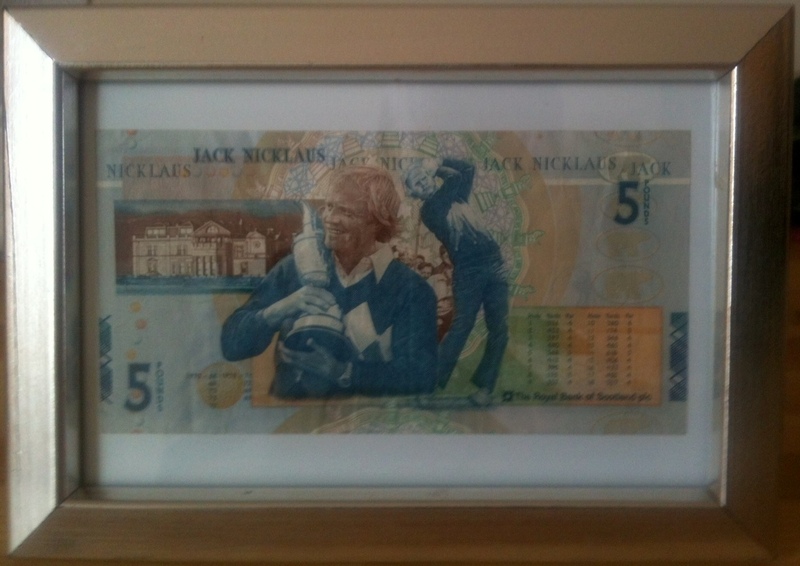 Please visit the CPR Facebook page, https://www.facebook.com/cprcondado and post a comment with your bid on the “Auction for Jack Nicklaus Scottish five pound note” thread. Bidding closes Tuesday June 3rd at 5pm. 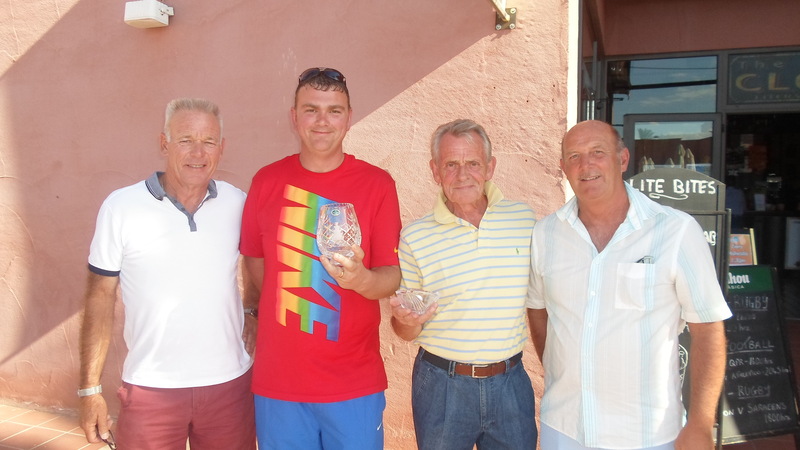 Winner Ben Birkby and runner-up Jim Alwell……….. 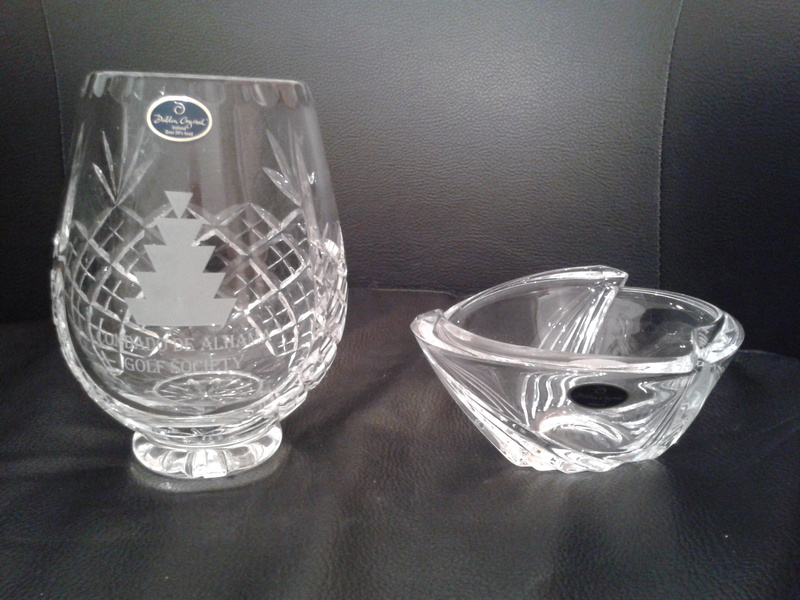 The Dublin crystal competition is played for 4 times a year, and thanks to member Paul Culligan for sponsoring the event. This week the competition was changed from a bogey to a strokeplay, but both proved equally unpopular with entries down due to the format. 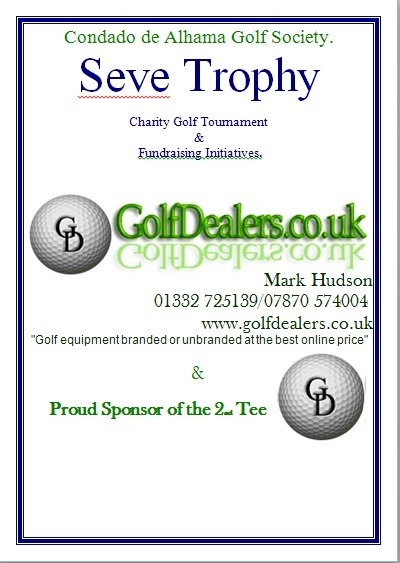 But the competitions committee do try to vary competitions each month to give some variety – there were only 2 strokeplay events in the diary this year, which is not much, considering the format is widely used in club competitons in the UK. Next week the course is closed for 3 days for hollow tining but we have arranged an away day to Saurines, with society prices applying. 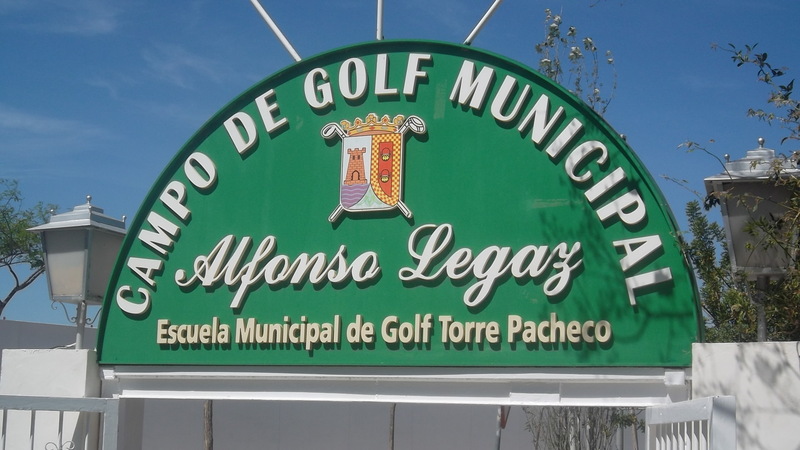 There will be a free coach funded by the weekly raffle, and also food and drink for 6 euros. 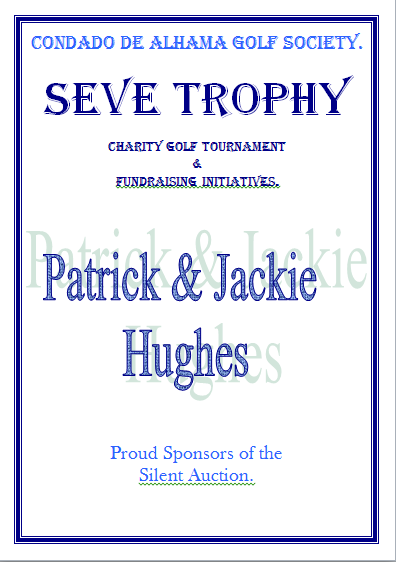 Names can be taken until next Wednesday so contact bookings@cdagolf.com if you want to go. For the same reason we are having another away day at Desert Springs on Septamber 5th, so again contact us if you want to be included. Monday and Wednesday the sheet is up with start times from the 1st and 10th. In 2 weeks time it is President’s day, with Barrington again performing his carribean show, which was very entertaining last year. Casual dress, but in the theme if you can – there is a prize for the best outfit! Entry 3 euros with optional BBQ. To finish on a sombre note, it is with great sorrow I have to report the sudden death of Pat Wilson, wife of one of our long time members, Robin Wilson. She was only 55, and had just spent a lovely day in Chesterfield with her best friend June Briggs (Paul’s wife). 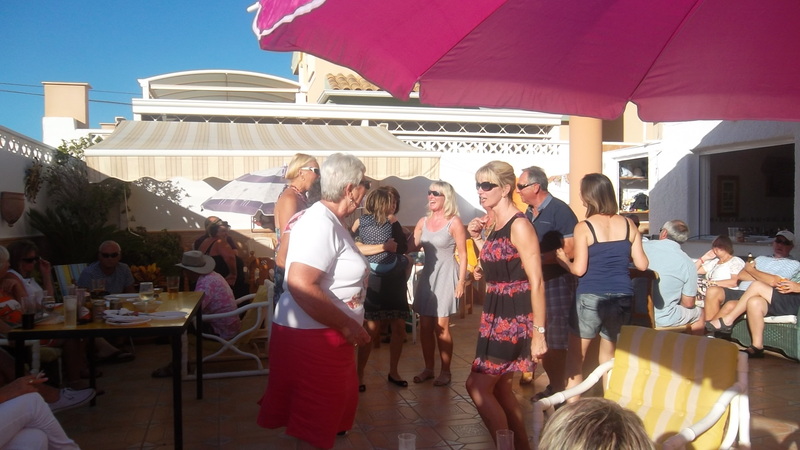 Both her and Robin were often to be seen at society social events, and Pat will be sadly missed by all who knew her. Our deepest condolences go to Robin and his family. Robin has requested no flowers, but donations would be welcomed to a charity close to both their hearts, The Dogs Trust. 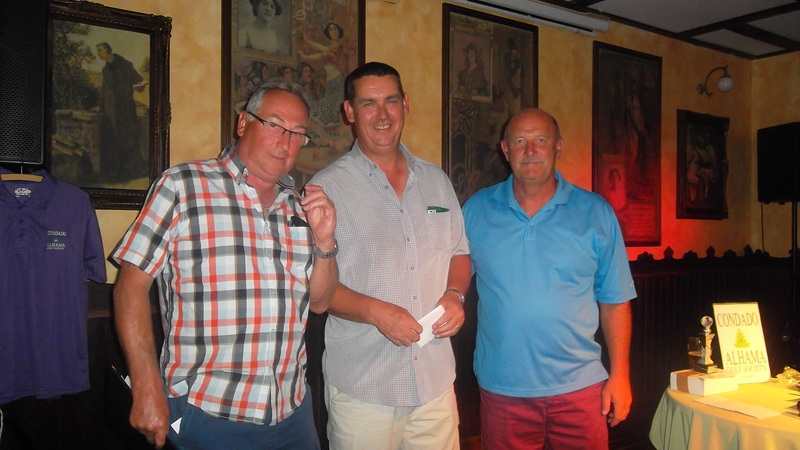 This Friday the Condado de Alhama golf society held a Pairs aggregate competition for it’s members with forty players entering the event. Unfortunately a number of players failed to attend which meant last minute alterations had to be made to try to accommodate everybody. 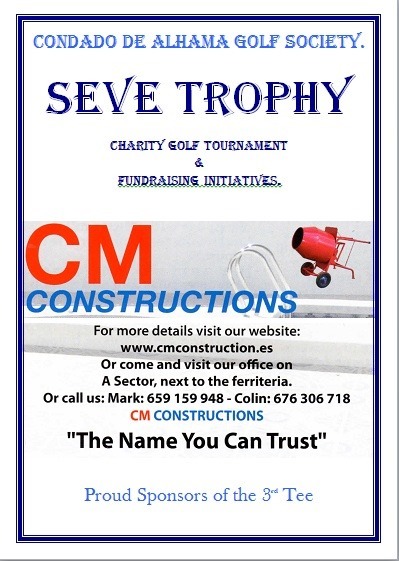 Could we remind all members that if they put their names down on the start sheets but then find they are unable to play could they please let us know on Wednesday night when the start times are finalised or if you cannot make it to the Clover bar for the society meeting then could you please drop us an email on bookings@cdagolf.com This is important for all events to ensure that we use all the society reserved tee times and more so when we are playing a pairs or team competition. 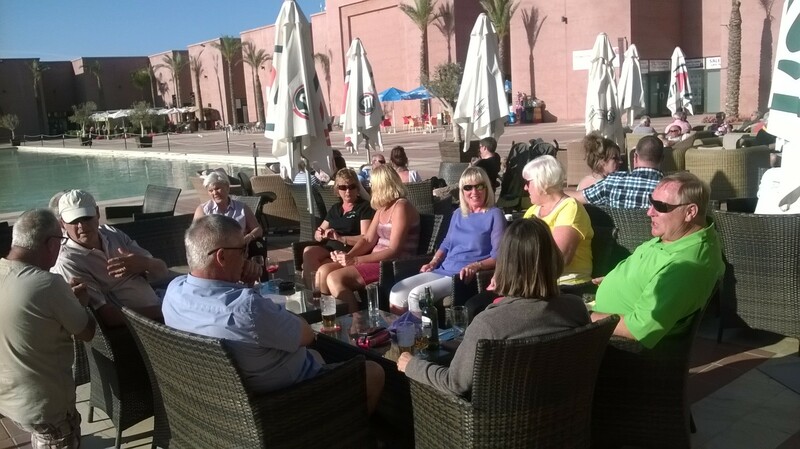 Members enjoying the evening sun after the presentation and a well needed refreshment. Next Friday is the Dublin Crystal individual Stroke play competition, the start sheet is on the society noticeboard in the clubhouse or email bookings@cdagolf.com to join in. 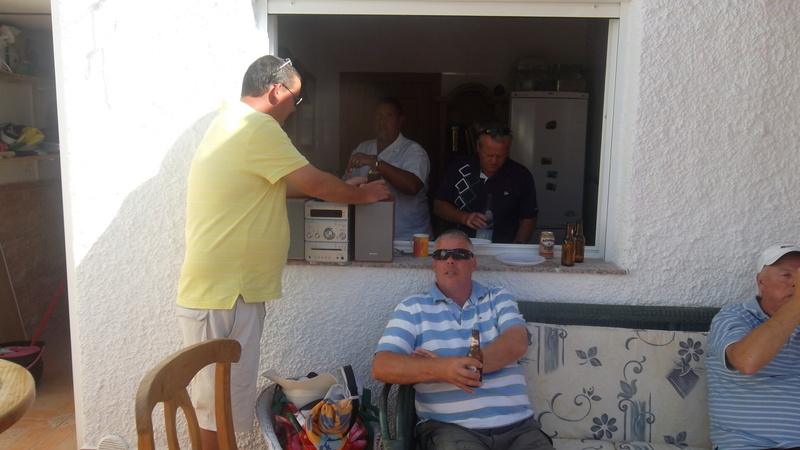 Scott on the left at captain’s day last year….he got a better prize this year……..
Kev and Phil waiting to start the day’s competition. 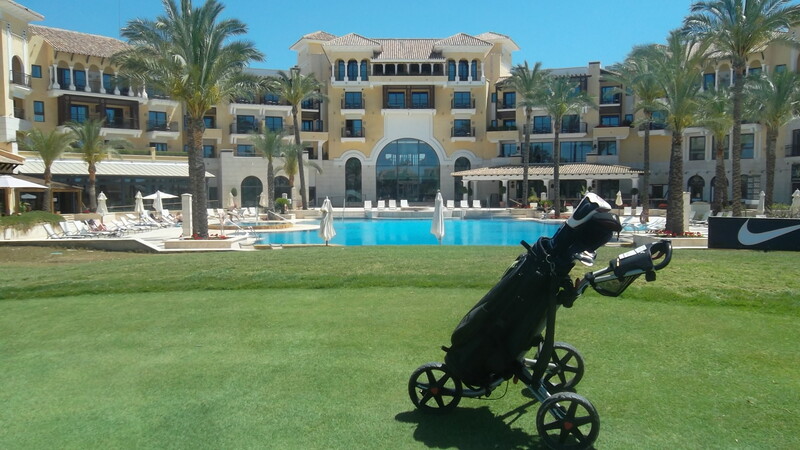 Firstly, I will apologise if this week’s blog lacks anything, as I was confined to my sick bed for 2 days and missed the golf and presentation. If I do receive photos of the winners I will post them later. 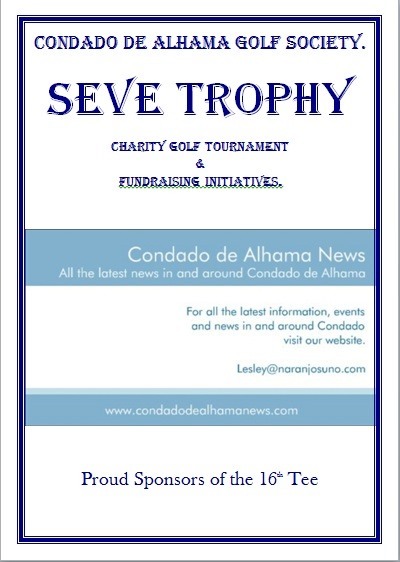 52 players played in the Seve trophy, which was a charity competition this year in aid of our own CPR on Condado. Well Infinity International are a provider of foreign exchange and international payment services to companies and individuals based around globe. Our clients benefit from access to our position in the global foreign exchange market which allows us to secure the most competitive rates using our purchasing power and long standing relationships with some of the world’s biggest banks and brokers. We believe that each client is different so we seek to understand as much as possible about your requirements, needs and priorities. Once we are satisfied that we have a deep understanding of your needs we offer a viable an effective solution that saves you both time and money. Investing time in you is critical. In the maze of balance sheets, sales targets and corporate profits we put you, the client first. Above all else we believe that you should always receive a fair, transparent and efficient service from our team. A personal account manager will be assigned to you and he or she will ensure that every aspect of your foreign exchange requirements is met. To enable us to fulfil our business model we invest in the best technology and systems so our staff always have the best tools for the job. 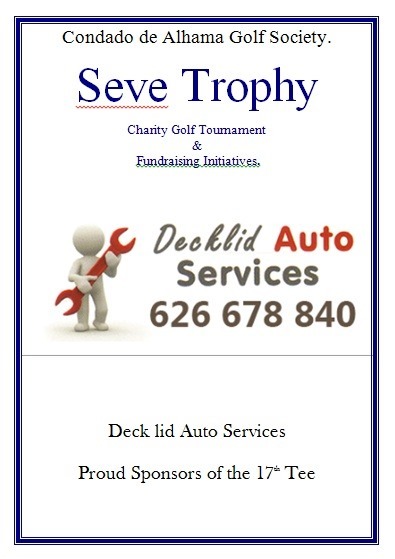 Thanks to the main sponsor, hole sponsors, ( see below ) all the organisers, Derek & Lynn Bell for monitoring the 11th green and everyone who parted with their money for this worthy cause. 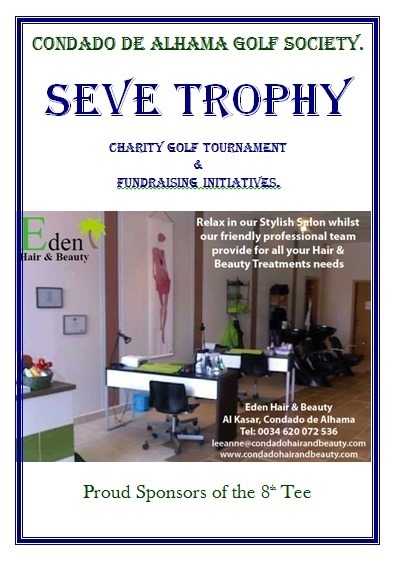 Ken & Alicia sponsored the 11th for 20 euros, and also donated 1 euro for every lady who hit the green, and 3 euros for every man (plus 100 euros for a hole in one). Amazingly, not one man hit the green all day! Fortunately 5 of the ladies did. 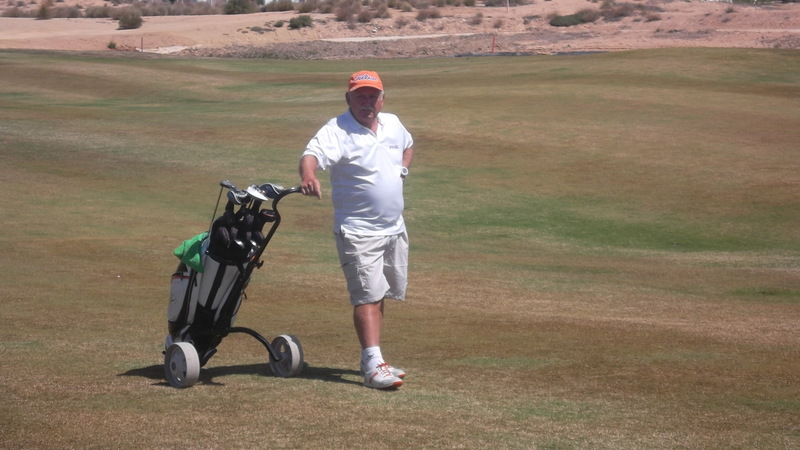 Although the conditions were no more difficult than normal, not one player managed to play below their handicap – but 36pts was enough for Scott Abraham to lift the main prize. One incident of note was Mick Parsons’ drive down the first. It was heading for the right hand bunker when a swallow threw itself in the way, deflecting it back onto the fairway. 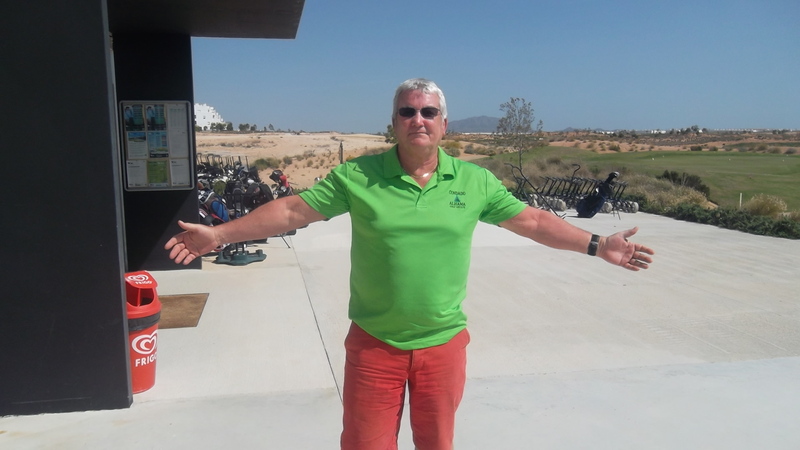 It gave its life for the good of Mick’s golf score – it wasn’t appreciated as he only got a 6. Just goes to show that one swallow doesn’t make a summer! 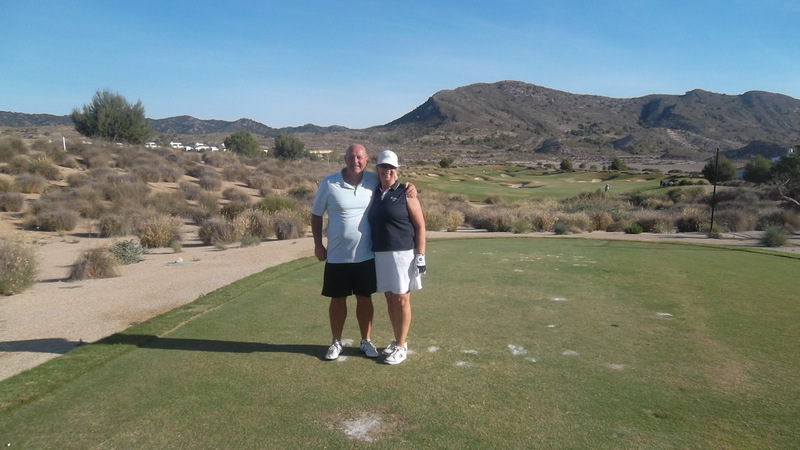 We went to El Valle on Wednesday, and the course was excellent as usual. Pity I couldn’t stay on it! Lots of cerveza in the El Rincon bar in Los Martinez with the gorgeous aroma of fresh breadsticks cooking at the side of us. Researchers at Newcastle University have released the results of recent analysis that revealed the presence of female hormones in Newcastle Brown Ale. Geordie Men should take a concerned look at their brown ale consumption, because a new theory suggests that because the beer contains female hormones (hops contain phytoeostrogens) Geordies who drink to much of the popular ale eventually turn into women. To test the theory, 100 men were given 8 bottles of brown each within a 2 hour period. A yorkshire farmer was walking on his land when he sees two guys, Neil and Les, drinking from his stream. The yorkshire farmer replies, ‘I said use 2 hands you’ll get more’. I am away to the UK next week, so maybe reporting may be a little different, but I am sure that the results will be available. 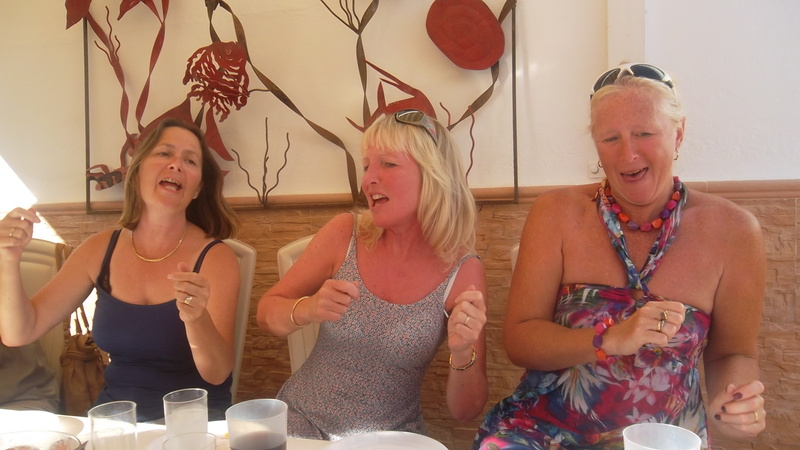 the girls hogged the shady corner, but allowed Peter to join them……. 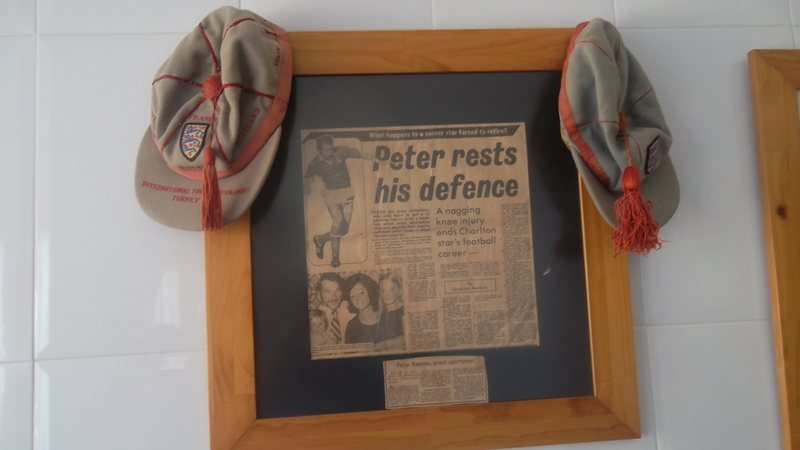 cuttings and international caps from his footballing days…………. 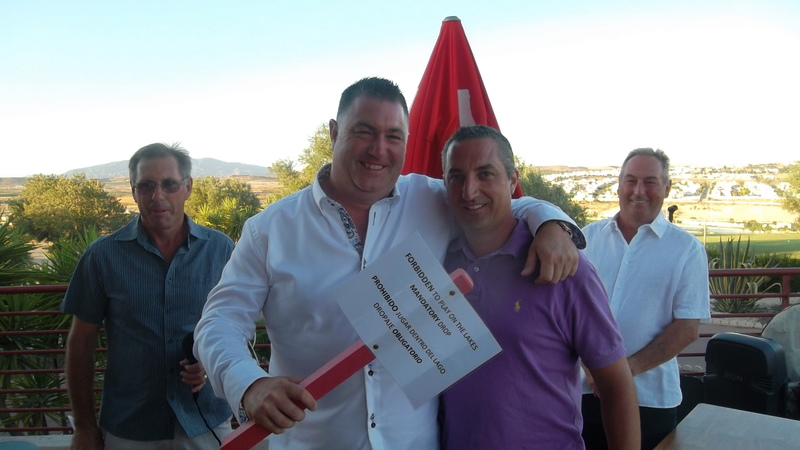 The last 2 years has seen Peter put on a great party at Maria’s in Bolnuevo, but this year he invited society golfers, family and friends to his own home, in the hills of Bolnuevo. Too much to put on the weekly blog, so this is a chance to show more of what happened at Peter’s rave-up. An early arrival at 3pm for the Condado gang, finally staggering out at 10pm. 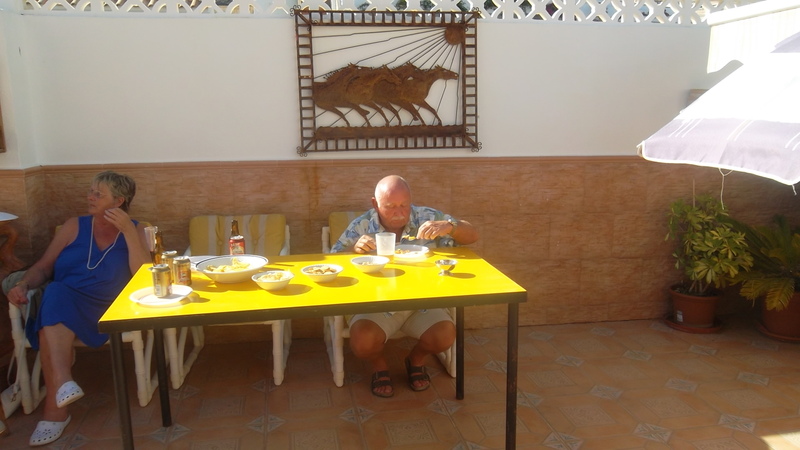 Nuts and crisps on the tables, then tapas, followed by barbequed chicken, pork and sausages. 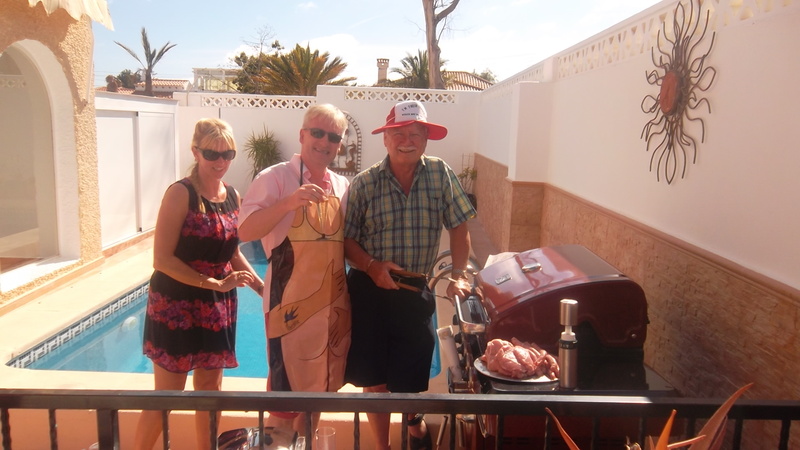 Peter Mitchell and Pat Hughes gave the hairy bikers a run for their money on the biggest George Foreman I have ever seen! Then a take-away of paella and pizza were delivered in, and to finish off we had an assortment of cakes and puddings. All this washed down with every variety of alcoholic beverages imaginable. 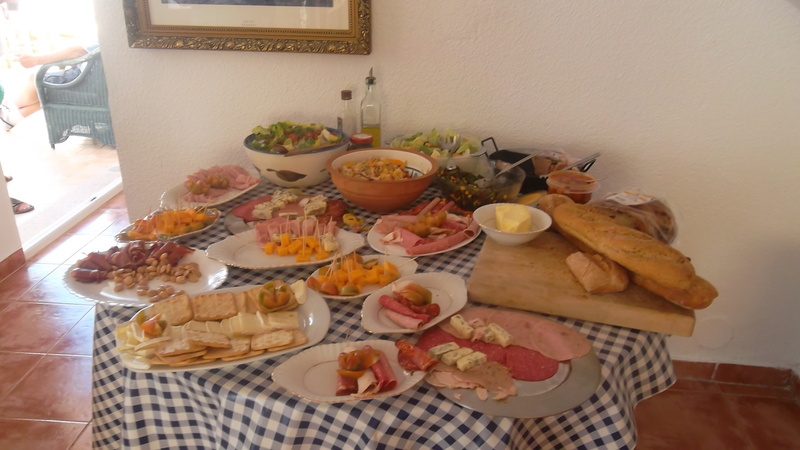 a fantastic selection of tapas………..
Jackie kept the chefs supplied with copious amounts of champagne……..
Alan is a low down bum……. it wouldn’t come off when he stood up……. Daughter Catherine was joined in the pool by Dave Rollett, Dave Lloyd, Les Hurren and myself, and I was surprised to find that the water was quite warm. The serving hatch to the bar gave several off us to give the girls a show through the square window – yes, it was like playschool! the girls have come out of their corner……..
a family of coots on the lake at 18………. This week was an individual bogey competition, which is not everyone’s cup of tea, but there were some good scores. 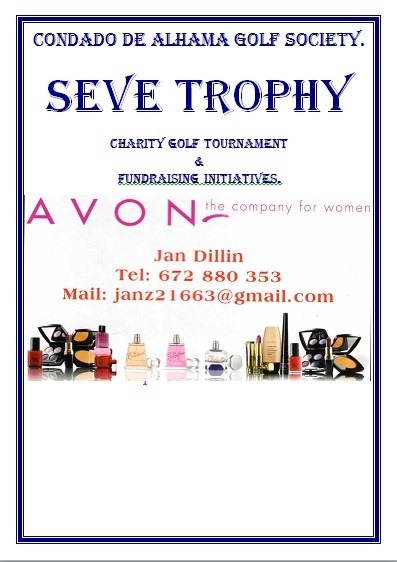 45 players entered, and the winner with plus 4 was Jenny Hollis, just pipping another lady, Brita Hoymyr on a back nine countback. 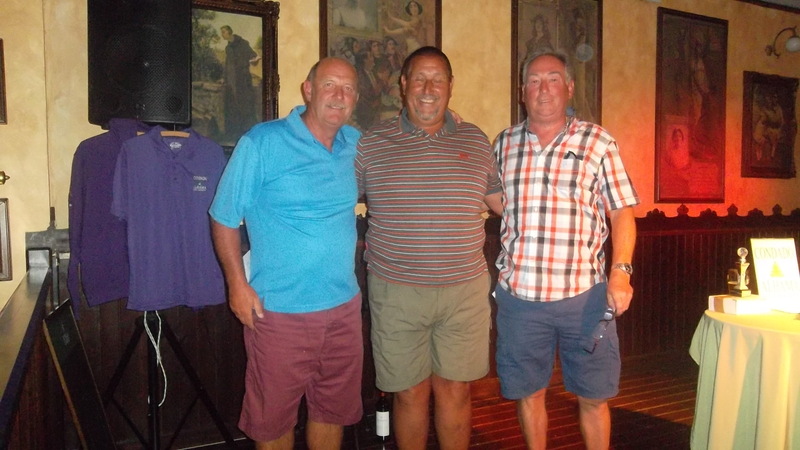 Also this week we had the new team of Dave Rollett (captain) and Dave Lloyd (vice captain) conducting the presentation. Good luck to both of them and we are sure they will have a great year. Click on photos (either once or twice) to expand. 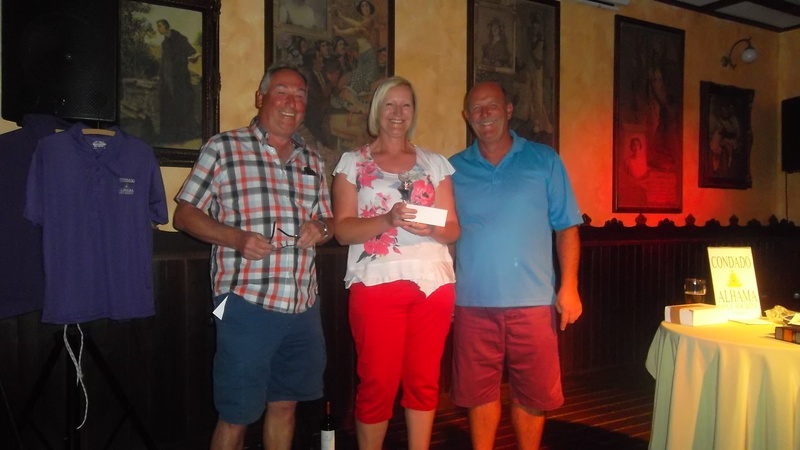 Jenny Hollis is this month’s Apollo Air champion……..
and another familiar face won the 1st division……..
Brita won the ladies and is in a great run of form at the moment……. Was sausage dave auditioning for a part in ‘elf’ the musical? 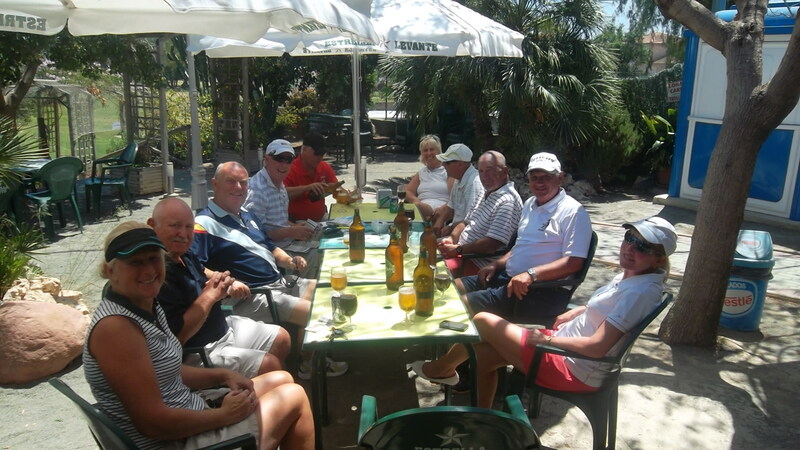 Wednesday saw 12 players go to Mar Menor, and one feature was the new venue for post-match drinks. 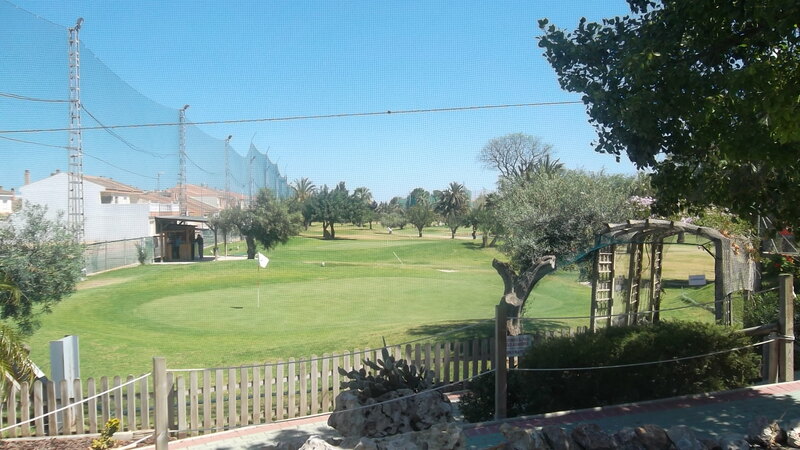 Mick Parsons took us to the Torre Pacheco 9 hole pitch and putt course. Lovely surroundings and a cheap alternative, with litre bottles of cerveza, soft drinks and tapas for a very reasonable price. Try if out if you are in the area. 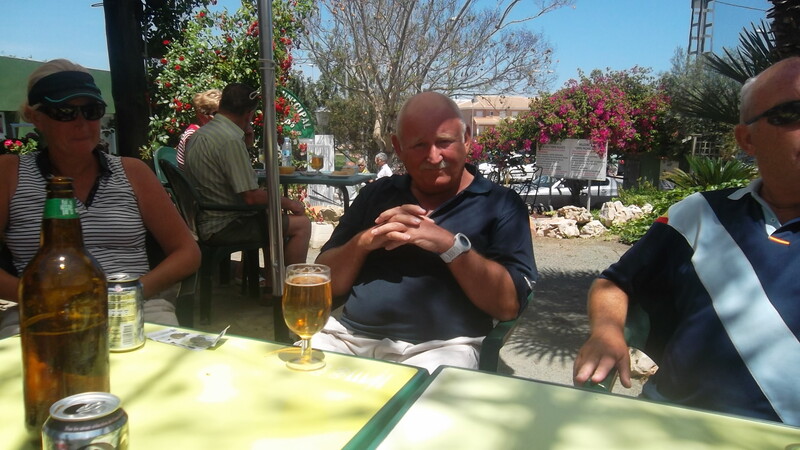 This weeks featured golfer is Alan Gray, A retired publican from Folkestone (originally London). Always a good partner to have in a team event. 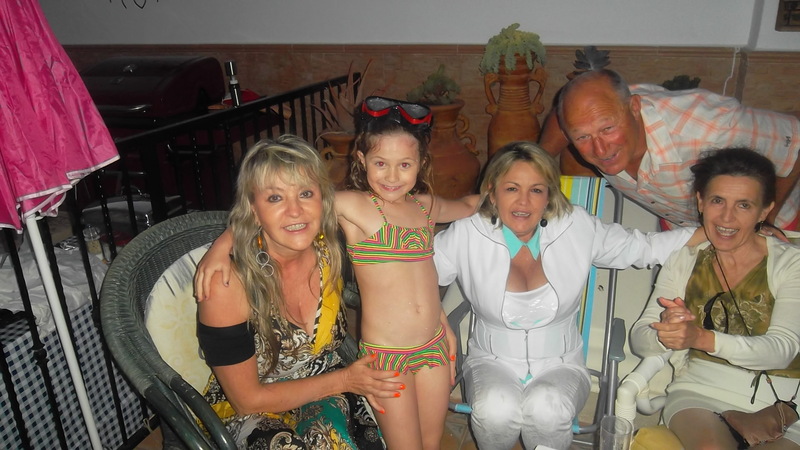 This weekend Peter Reeves held his annual party in Bolnuevo, but this time it was at his own villa. 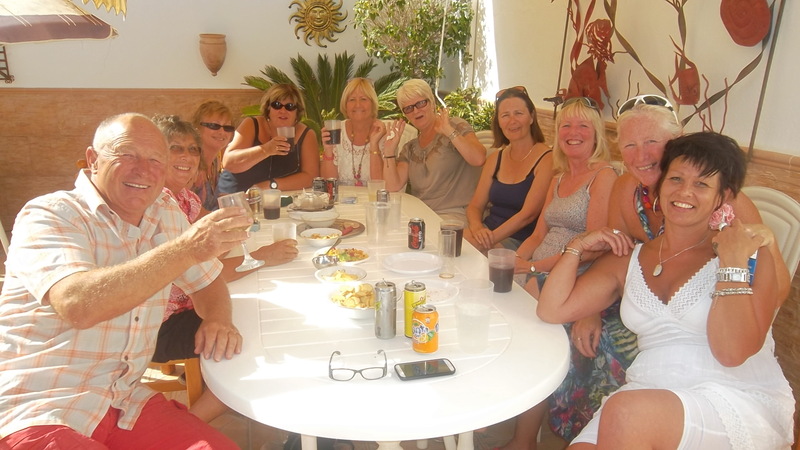 We brought the drink, but Peter provided a banquet fit for a king…………….tapas, barbeque, paella, pizzas, and a selection of sweet dishes. 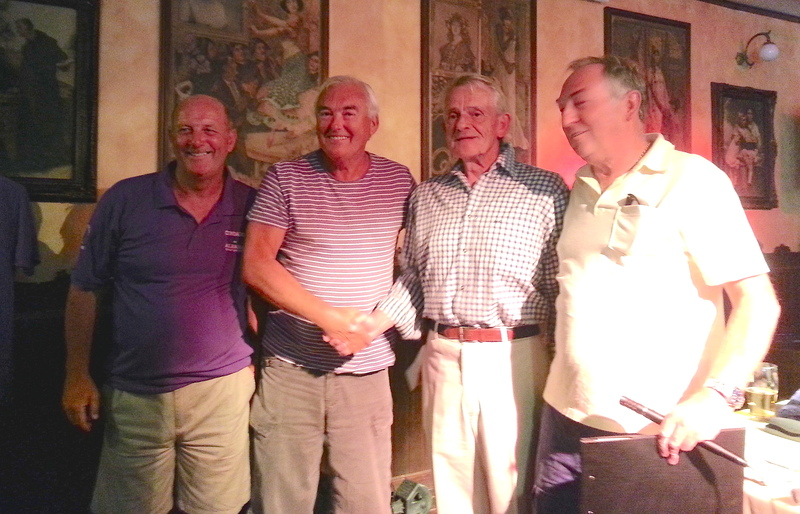 It was also captain Dave Rollett’s birthday, so the 30 odd guests had a great time before returning home on the coach. 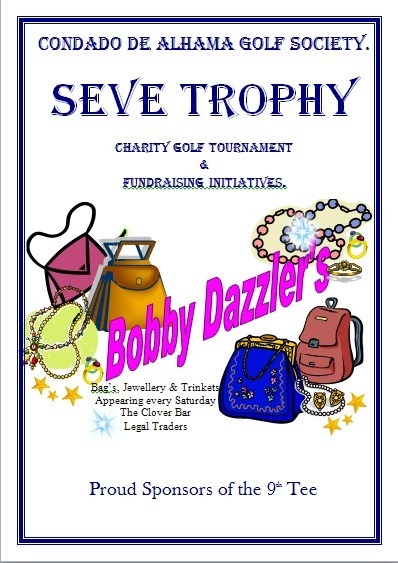 Peter with daughter Catherine and his 3 columbian sisters-in-law……..
Next week is our annual charity day….. the Seve Trophy. 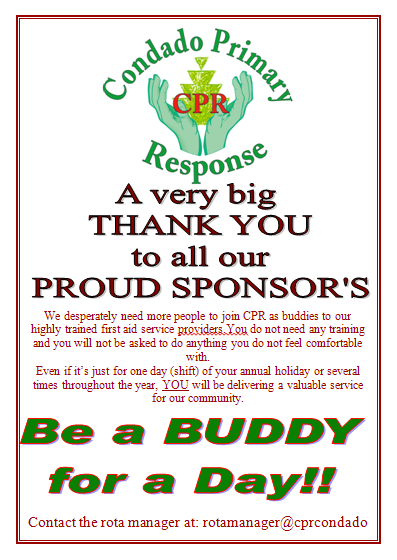 Because it is for charity (Condado CPR) the entry fee this week will be 3 euros, with all entry fees going to the charity. This will include free entry into the putting competition which we hope everyone will join as the pass from the 18th green to the clubhouse. 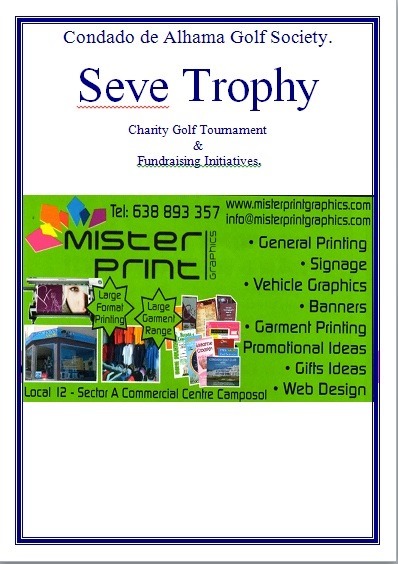 This years main sponsor is a company called Infinity, and individual hole sponsorship is still available. 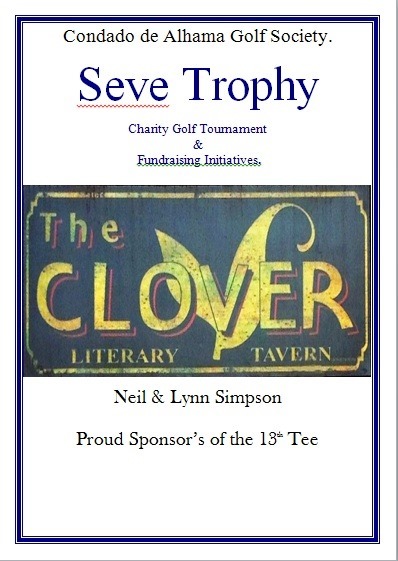 There will be a party at night in the Clover with Byron as DJ, so no meal option or entry fee. Preferred lies will continue at least until the end of May, when the issue will be looked at again. As previously mentioned, due to hollow tining we shall have an awayday at Saurines on Friday May 30th. 52 places have been reserved and there will be a free coach to take us there. This is possible due to revenue from the weekly raffle. 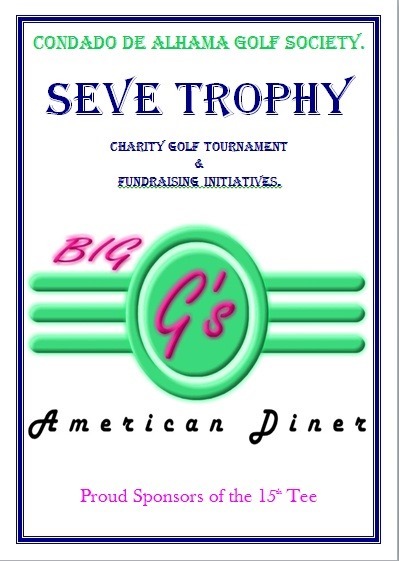 All players will receive a drink and burger & chips after the golf. This costs 6 euros, but a 5 euro (non-refundable) deposit will be required to secure your place. We will pay exactly the same rate as we do at Condado for golf and buggies. 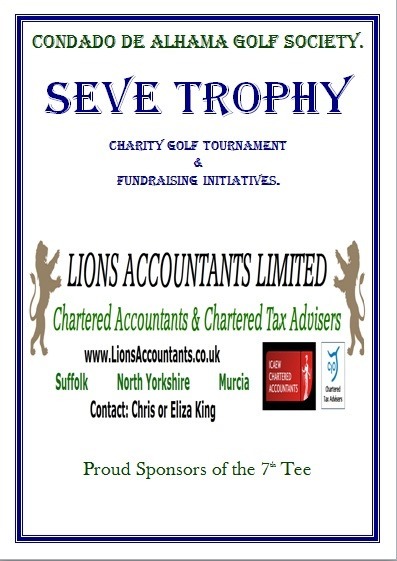 IRM have kindly donated a green fee voucher for the 6 courses for the winner of the competition. either hit one more club or two more balls. until the green is clear and top a ball halfway there.